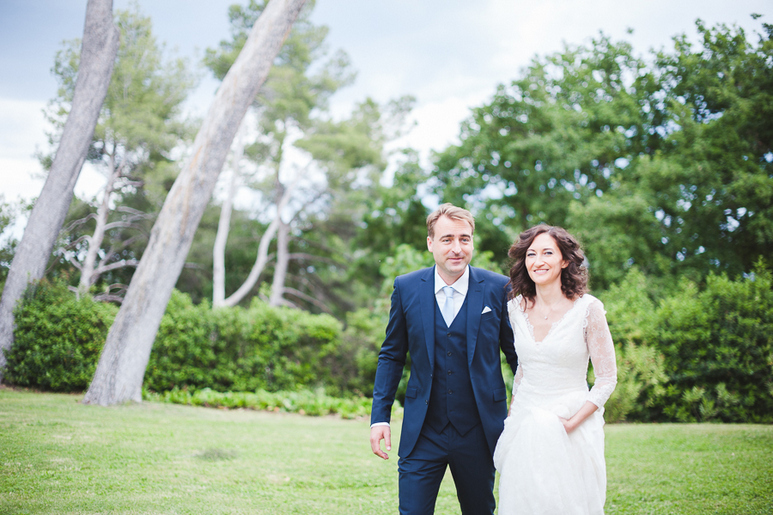 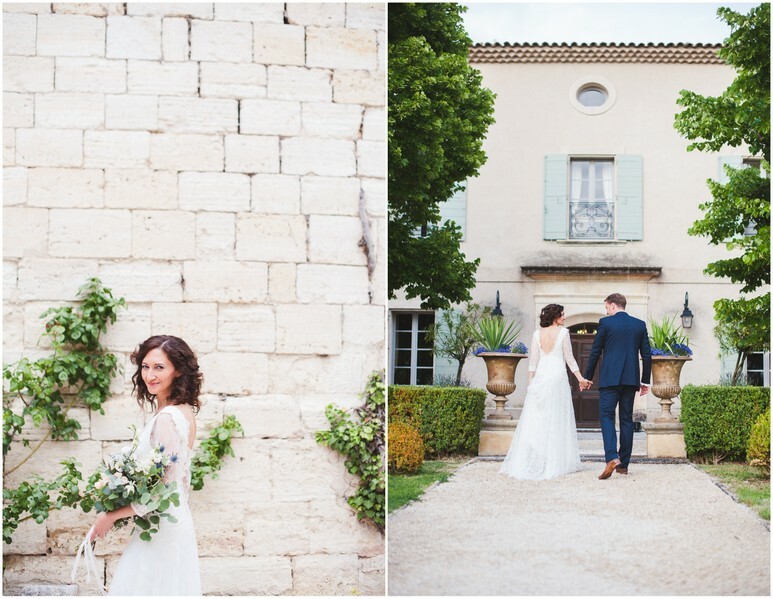 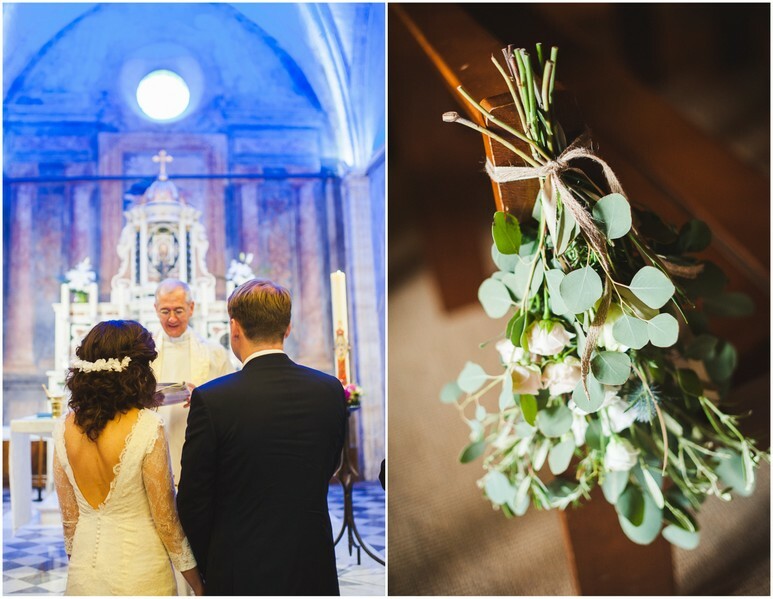 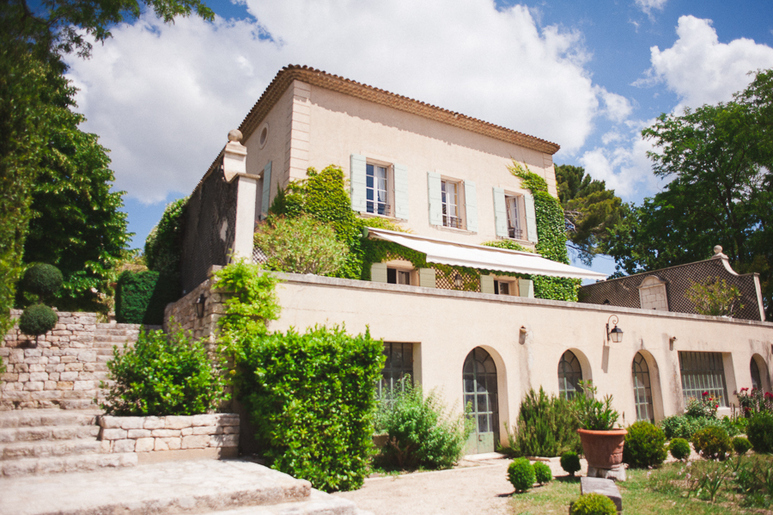 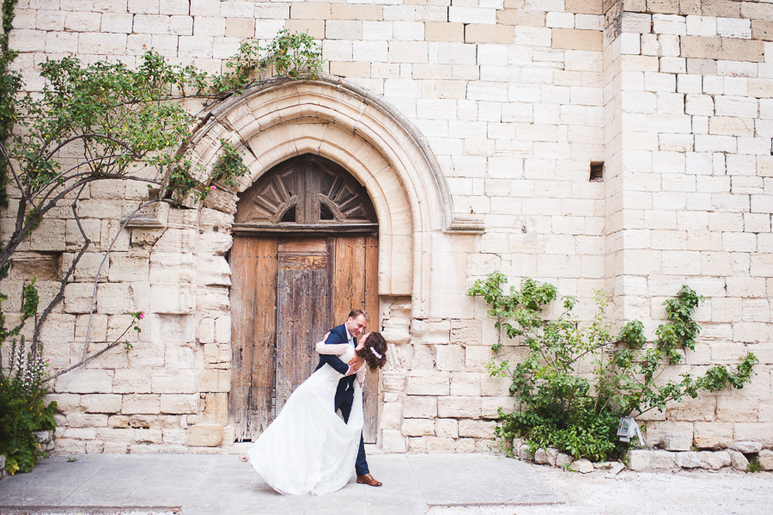 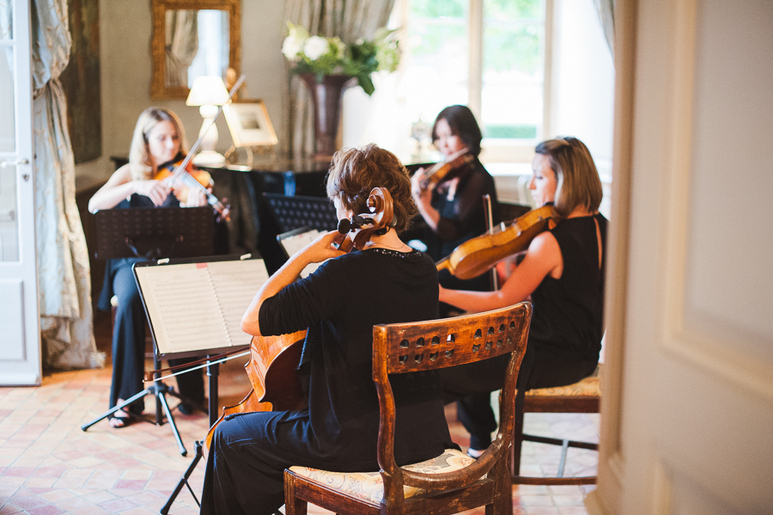 Nicole and Jerome privatized a historic villa located in the beautiful region of Provence for their wedding weekend. 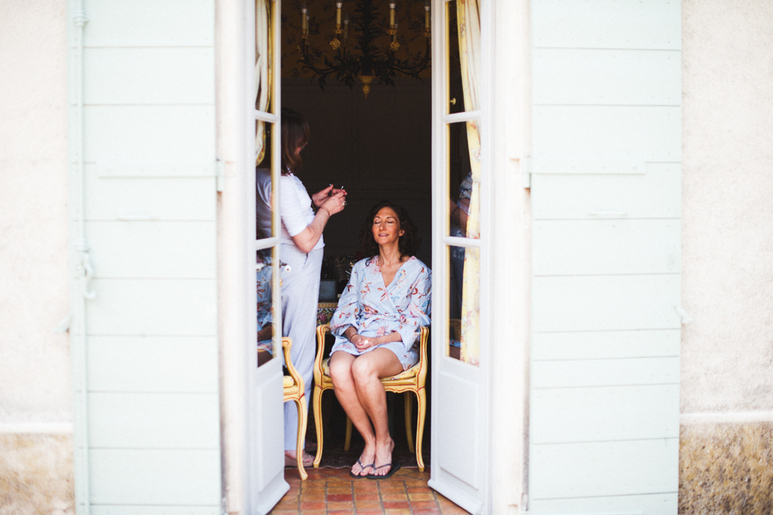 Guests came from all over the world – Jerome’s family from the north of France, Nicole’s family from the US, and additional family and friends from nearly a dozen countries including Australia, China, Romania, Spain and Sweden. 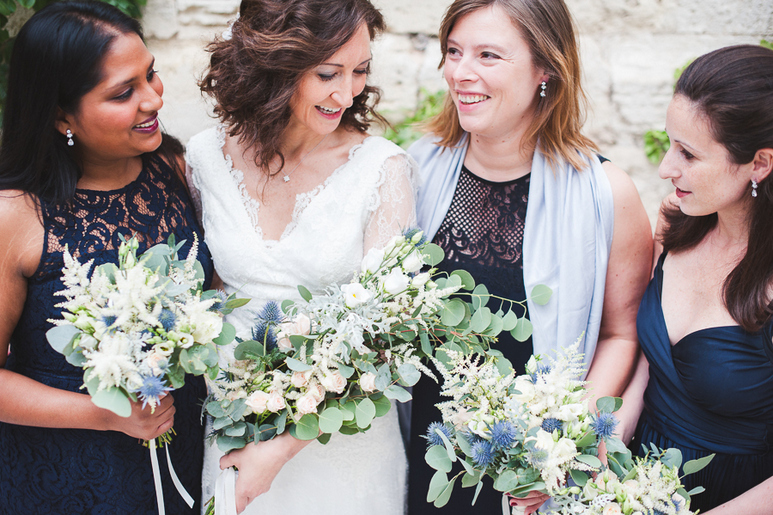 The wedding weekend kicked off with a visit to a nearby vineyard and sculpture garden and the outdoor post-wedding brunch allowed guests to say their goodbyes and enjoy the springtime sun. 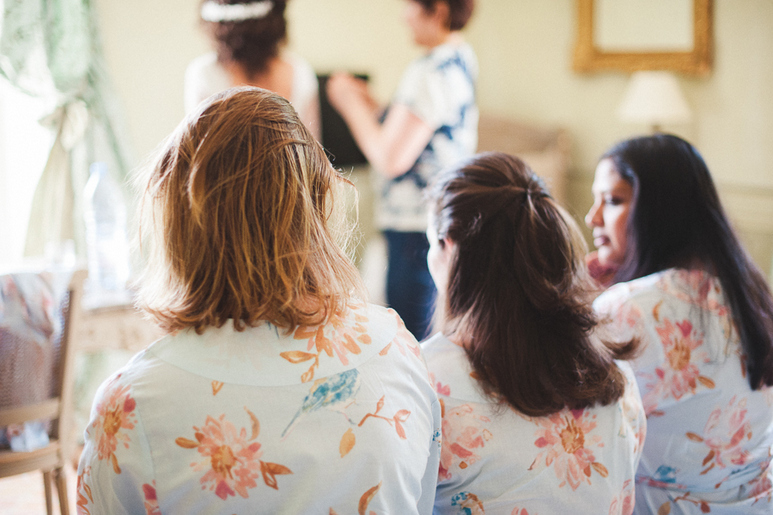 The wedding day was a beautiful celebration with family and friends. 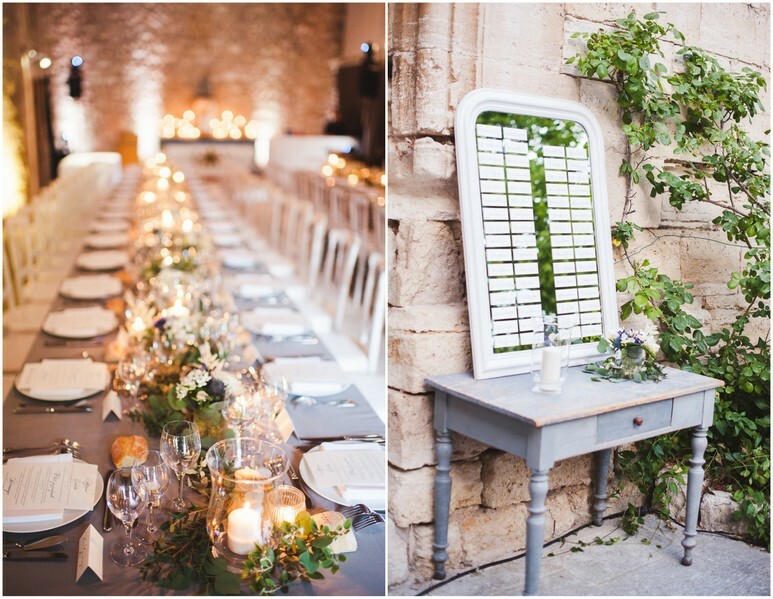 After a ceremony at the local Roman-style church, guests enjoyed an outdoor cocktail hour featuring provençale specialties. 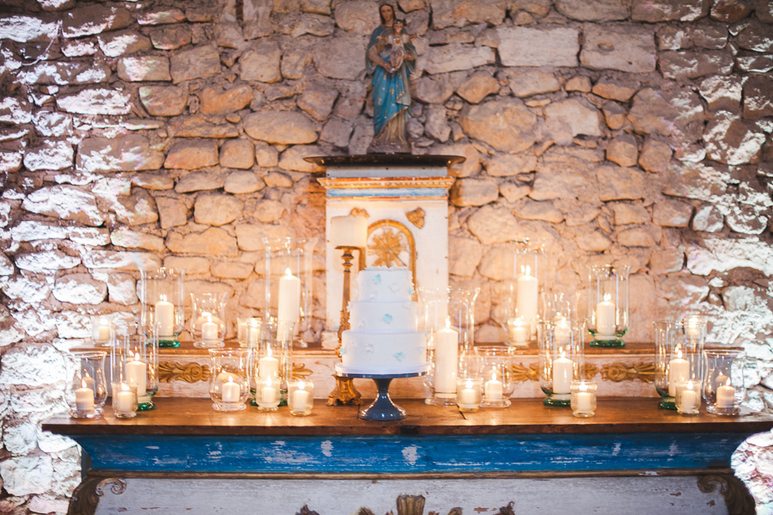 Guests were then into the villa’s chapel, which was transformed into a beautiful reception space for the dinner. 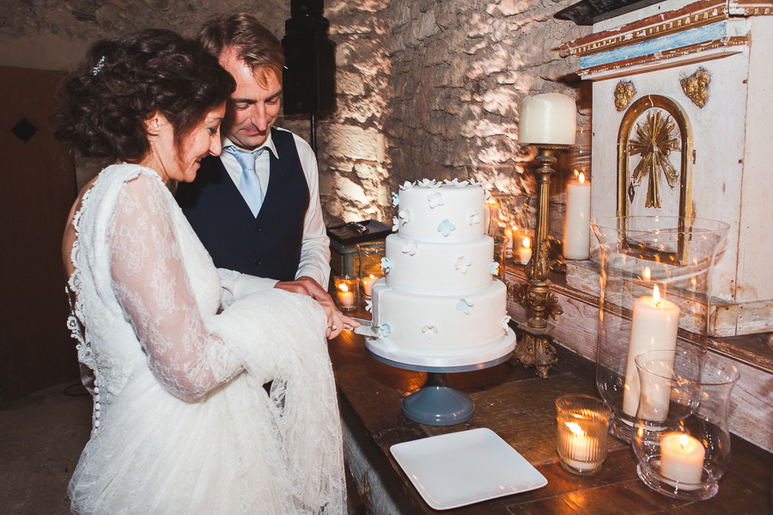 Long banquet tables with candles, greenery and grey-blue florals created a romantic setting for the evening.